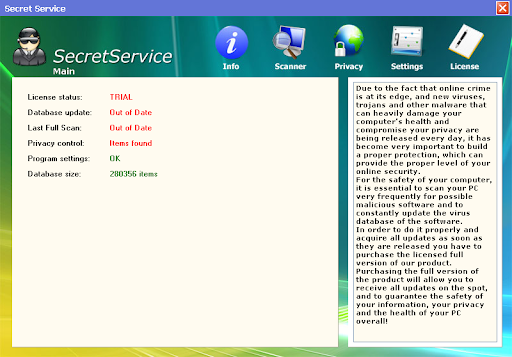 Secret Service is a new rogue made by TRITAX, (creator of Crusader Antivirus). It it using a part of the sample used by Privacy Center (the Russian female voice). The rogue drops many fake executables on the system and also detects legit files to justify an infection and scare users to incite them into buying a license.